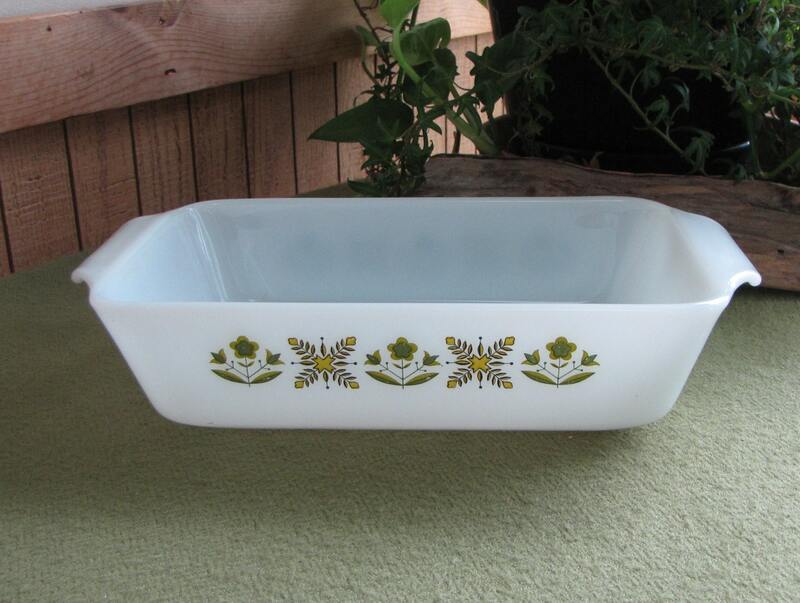 The white glass bread pan is a quart ovenware piece from Anchor Hocking Fire King in a Meadow Green design. 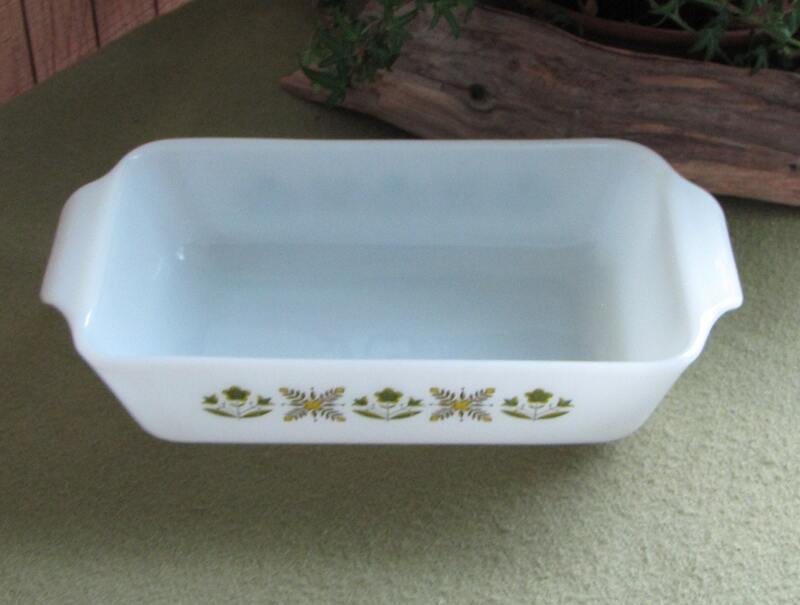 The pan is in very good vintage condition with no chips or cracks. The design is also in good condition with no marks or scratches. Fire-King is not designed for dishwasher use, which can dull its original lustre and remove any applied paint decorations. 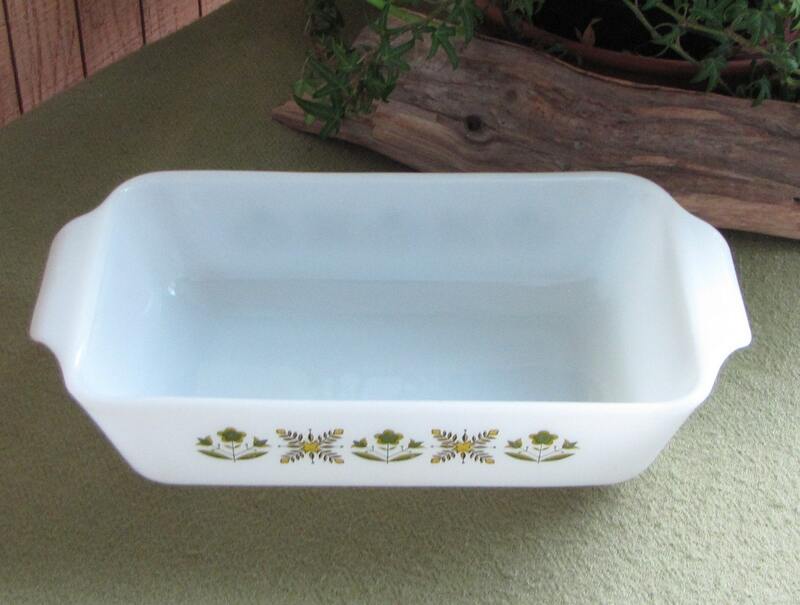 The pan is a one quart bread pan measuring 2.5 inches tall and 9 x 5 in length and width. 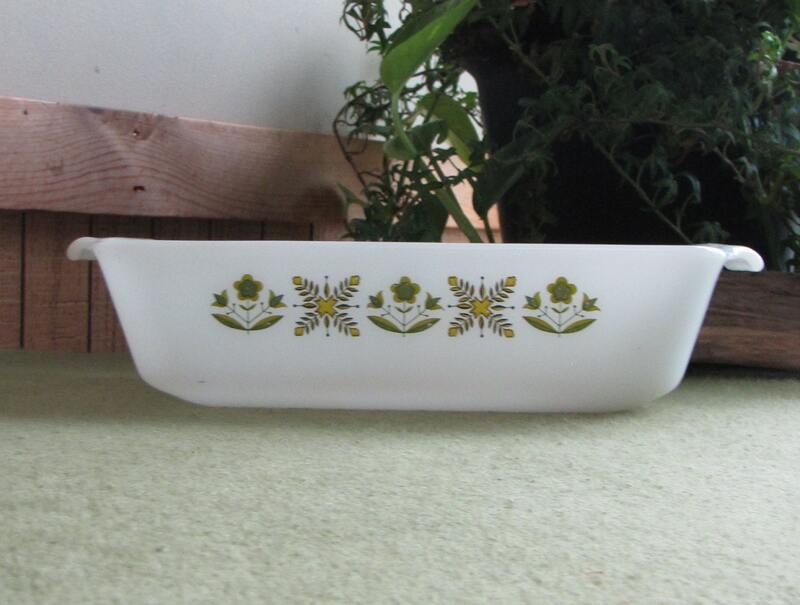 Fire-King is an Anchor Hocking brand of glassware similar to Pyrex. It was formerly made of low expansion borosilicate glass and ideal for oven use. Currently it is made of tempered soda-lime-silicate glass. Fire-King was originally produced in the 1940s for everyday use and was sold as promotional items in bags of flour and at gas stations. They could also be purchased at local grocery and hardware stores. The Fire-King line includes bowls, casseroles, cups, plates, serving platters, creamers, vases and more.